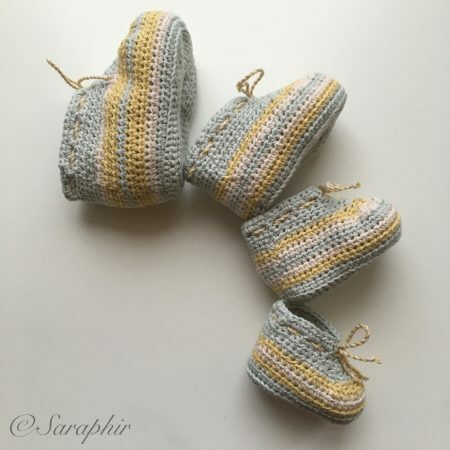 Happy baby booties - a crochet pattern for babies with 4 sizes. I spent most of the weekend working on updating my pattern for these Happy Baby Booties to include two more sizes. 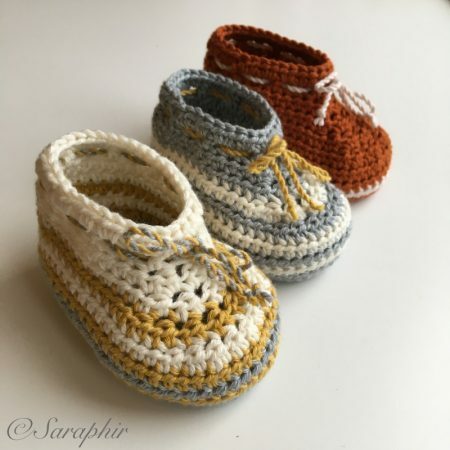 This means that the pattern now includes instructions for making booties for 0-3 months, 3-6 months, 6-12 months and small/premature babies. 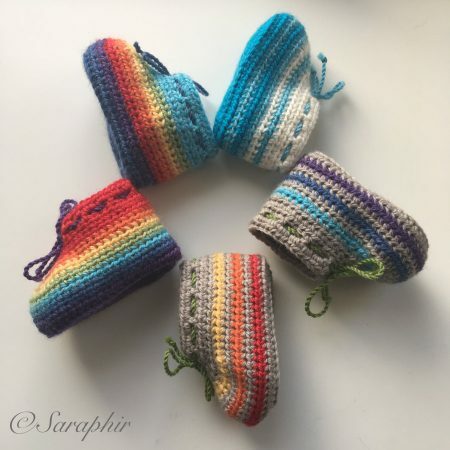 For a long time I wasn’t sure what to call my booties, but then a very special friend spontaneously started calling them Happy Booties, because the colourfulness put a smile on her face and I decided to adopt the name! Of course, baby feet vary a lot in size and the above are only guidelines. Some babies may outgrow the 0-3 month ones at 1 1/2 months and others they may fit for 6 months – I’ve seen a baby girl at 8 months still being able to fit the 0 -3 month booties. The beauty of being able to make your own is that you are more in control. 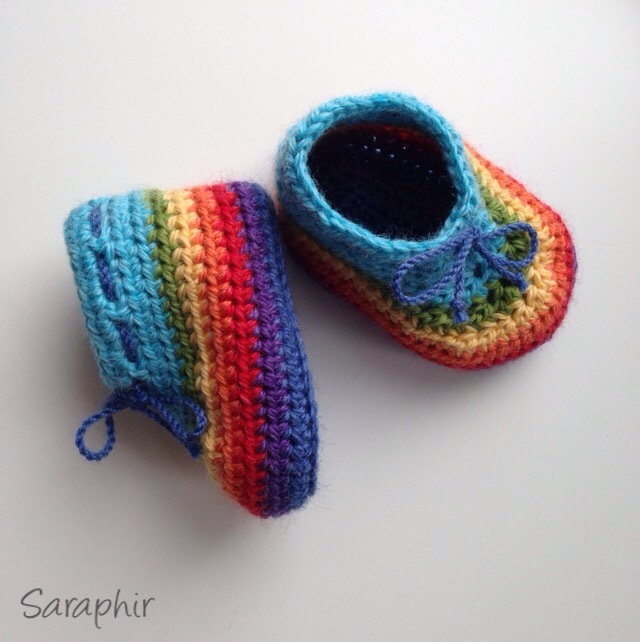 The booties are made with DK yarn and a 3.5 mm hook. In the beginning I made the booties with organic cotton from Twilleys of Stamford. 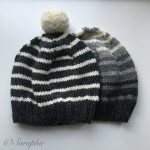 This yarn has now been discontinued, so I have found several other alternatives, including organic merino from John Arbon textiles, Drops Cotton Merino and Drops Belle. There are, however, many other DK yarns available and they would all be suitable. All yarns vary a bit in thickness and depending on your tension and the yarn you choose you may find that the size of the booties you make is a bit different. I based my measurements on the Freedom sincere yarn which has 115m per 50 g.
I really enjoy making these booties. Making up new colour combinations and stripe patterns is always fun and you never quite know what the end result will look like till you get there. Before markets I at times make up to four pairs a day, but somehow I never tire of making them. Maybe it’s the colours, or maybe it’s the smile that I know they put on people’s faces when they see them as they walk by my stall. The pattern is available to buy in my Etsy Shop or my Ravelry Store. Due to the EU vat regulations for digital sales/purchases Etsy automatically add VAT to the price I set. This is somewhat annoying as people from the UK would not have to pay VAT otherwise, but at the same time I’m grateful that Etsy sorts out the vast amounts of paperwork connected with this regulation and I’m sure I stay on the right side of the law! I have a newer pattern for Noella Baby Booties – a similar shape bootie, but made with Aran yarn.